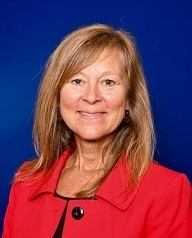 Hired as a part-time consultant in 2009 to support the re-launch of the SAISD Foundation and rally private support to increase educational excellence in SAISD schools, Judy has served as its full-time Executive Director since January 2014. Judy earned her MEd from James Madison University and an MA from St. Mary’s University. 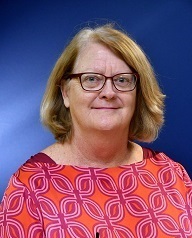 Prior to supporting K-12 education, she launched the Service Learning Center at St. Mary’s University where she served as Director and adjunct faculty in the Psychology Department for ten years and earned national recognition. Judy has a background in program development and evaluation as well as fundraising and grant writing. She has served as an evaluator for TEA funded after-school programs in San Antonio, national and international grant programs, and K-16 service-learning education programs in Texas. Judy and her husband Mike have called San Antonio home for the past 25 years and their sons (twins) are seniors in high school. 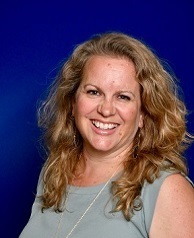 Jennifer joined the SAISD Foundation in October 2013. Her primary role is management of the Foundation’s financials. In this role she manages all donor advised funds and annual revenue as well as the grants awarded to our employees. If you have a question regarding anything related to invoices or billing, or if you have a question about an upcoming or awarded grant, she is your point of contact. Jennifer is a wife, mom, and grandma. She grew up in Southern California and graduated from St. Petersburg College in Florida. She has moved all around the country, getting to Texas as quickly as she could in 2005. She loves spending time with her family and dogs, and enjoys being involved in her church. Stephanie joined the SAISD Foundation in 2016. She is the first point of contact for the Foundation and is available to assist Monday-Friday from 9 am-5 pm. Stephanie supports the foundation with bookkeeping, donor database entry, and donor stewardship. She also manages the 100+ scholarships awarded annually to our newest SAISD Alumni. A San Antonio native, Stephanie is a graduate of Trinity University and a former elementary school teacher. Her passions include books, quilting, reading to students in SAISD schools, and her grandson. 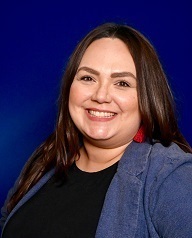 Angelica joined the SAISD Foundation team in June of 2018 and will be working to create and foster relationships with donors that support the initiatives of the Foundation as well as working to increase the visibility of the Foundation and the events we host. This UTSA Alum (08’) BA in Communication, is a public relations professional who fell in love with the nonprofit world. Born and raised in the Rio Grande Valley, Angelica is a lover of all things music and enjoys spending time with friends, cooking and finding a new sound to get through the day. She is a current Board Member and the Treasurer of the San Antonio Association of Hispanic Journalists and enjoys volunteering with other local nonprofits. 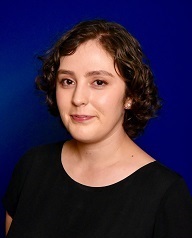 Hannah joined SAISD in May 2018 as the Grant Writer for the District Grants Office. Her primary role is to secure private sector funding through the development, implementation, and evaluation of grant proposals including local, state, and national foundation and corporate grants. Additional roles and responsibilities include assisting the SAISD Foundation in developing grant proposals and finding new, unique funding sources. Hannah is a San Antonio native and attended college at Trinity University. She has traveled to France, Cambodia, and Vietnam. Her favorite hobbies include cooking, gardening, and drawing.